The London Stock Exchange is a major part of the financial industry. 3rd year student, Aishwarya, talks about getting into the industry and life at Cass. Welcome to City University London! 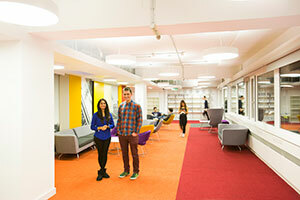 I am a 3rd year Banking and International Finance student at Cass Business School. Before starting university I wasn’t sure what career I wanted to go into. I had researched many universities but since I had been to London before, I knew this is where I want to study. The university life is not the typical campus university life; instead you get the experience of university life combined with the experience of living in a fast-paced city like London. I had initially applied to study Medicine. I wanted to become a Doctor, but changed my mind and had to re-think my options. Just before re-applying I did an Internship in the finance department at a small firm in Germany. I enjoyed my internship so much that I decided to pursue a career in the Financial Industry. I looked into many universities in London who offered courses such as Business Management or Accounting and Finance. But when I found the Banking and International Finance course at Cass Business School, I was so interested in it, and even though I had no prior banking knowledge I decided to apply for this course. The course is tough but I’ve survived for the last three years due to all the help and support the university provides and the wide exposure you get by living in a city like London. I have had modules like Financial Econometrics, Introduction to Finance, Corporate finance and International Finance. This course offered me such vast opportunities and through the university I also managed to secure an internship in a private equity firm in my first year. The internship helped me use my theoretical knowledge in practical work and gave me a wider exposure into this industry. London is probably the perfect city to start a career in this industry and what better place to get educated than one of the best universities in London, Cass Business School. While studying at Cass, I’ve understood what an important part the London Stock Exchange plays in the financial industry. A stock exchange is an exchange where stock brokers and traders can buy and/or sell stocks/shares, bonds, and other securities. The London Stock Exchange enables companies from around the world to raise money from outside investors. Its main aim is to provide attractive, efficient and well-regulated markets for companies, investors and intermediaries, such as stockbrokers. It has been an important part of the financial industry since the 17thCentury. 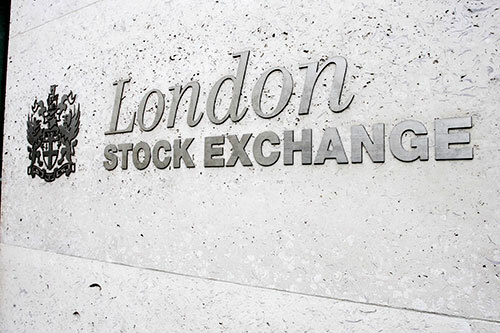 All big clients/corporates or banks deal with the London Stock Exchange on a daily basis. It can be said that this is the brain of the financial industry. The Exchange is not only one of the oldest exchanges in the world, it is also one of the most prestigious, supplying high-quality prices, news and other information to the financial community, not just in the UK but across the world. After reading this, I hope I have been able to provide you with an insight into the financial industry and moreover this course and the university. Lastly, I would just give you three tips in order to make your university life fun and successful at the same time. Tip 1: NETWORKING: this is very important in order to succeed in this industry and therefore talk to as many people as you can. Tip 2: TIME MANAGEMENT: this will probably be the most difficult but the best habit you should take upon when starting university. This is what will allow you to succeed and enjoy university at the same time without any pressure. Tip 3: OPPORTUNITY: take up all the opportunities you can and challenge yourself because university is a platform which will give you the opportunity to develop your interpersonal skills, and confidence which will help you in becoming a leader in this industry. Thanks a lot and I wish you all the best for this new chapter in your life!